Established with a vision of providing expert real estate solutions accross a range of sectors. All the projects are designed with the highest quality standards, keeping in mind the modern lifestlye. 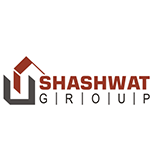 A relationship of trust is the core value on which the foundation of Shashwat Homes is built. Epitomizing a perfect blend of contemporary design and quality construction, 'Shashwat Park' is an integrated residential complex by Shashwat Group located at Badlapur. Elegantly crafted apartments equipped with modern amenities and impressive features make a perfect dream home.